This sign is for Cit of Champaign. The sign’s colors are blue, brown, yellow, black, and white. 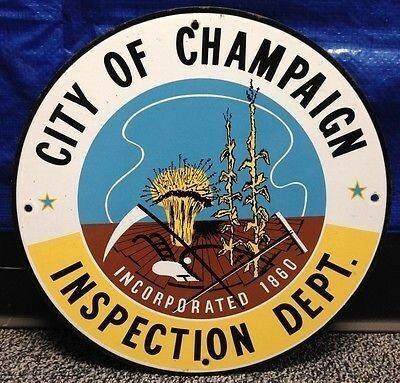 The text on the sign reads: City of Champaign Inspection Dept. Incorporated 1860. The sign shows wheat and a reaper in the center with text surrounding.